Here are the stations and worksheet that need to be completed for Wednesday April 10th. There will be a homework quiz! Today was the first day of environmental chemistry, Below are the set of instructions for the activity we did Along with the extension questions. Extension questions And the pink sheet are due on Wednesday. Below are the guiding questions for the lab and the second link is the checklist for things that need to be completed before you enter the lab. In the link below you will find your online assessment. Please follow the directions in the document and share your answers to me before 8 PM. Hi Grade 9s, below is the document with the questions for the snowflake lab. There is also a link for the pictures to help you answer Question #5. Here is a little video that might help to explain Ionic Bonding. 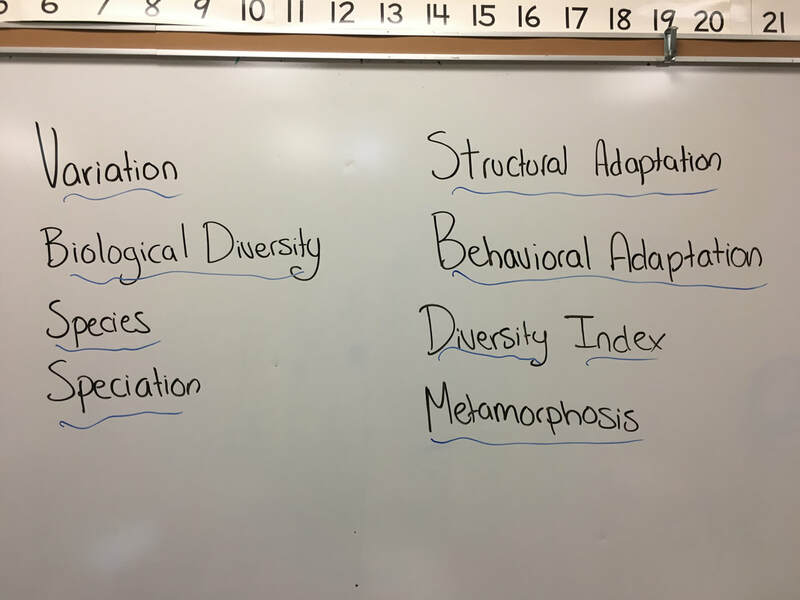 Below you can find the biodiversity study guide! For homework this weekend you are required to watch two you tube videos and complete a worksheet on DNA using the ideas from the model we made in class. The worksheets and videos can be found below. Hi Grade 9s, On Thursday Oct 18th you will have a quiz on Topic 2 and Topic 3. Below are some items that will help you for the quiz. ​Due Sept 19th: Using any one of the lab outlines, design your own lab based on one of the article from the website below. Hi Grade 9s here is your vocab words for topic 1: please make sure you have the definition and an example.